This is an original mixed media piece using mixed media 6 3/4" x 6 3/4" paper, watercolors, and silver metallic oil-based paint pen. 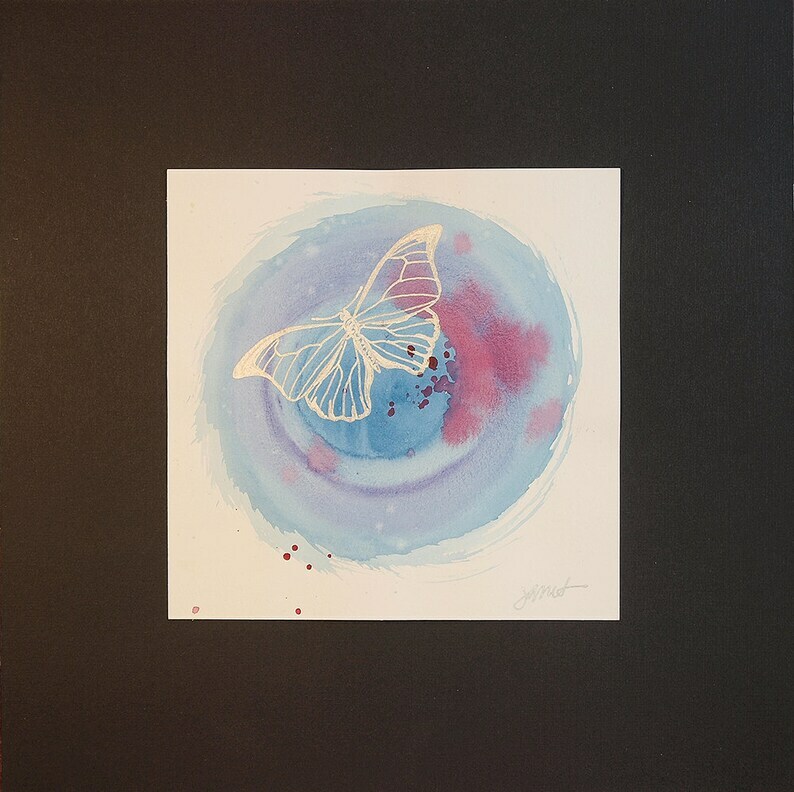 I drew a butterfly with the paint pen on top of a swirled and dripped watercolor design. This piece can be permanently mounted onto a 12" x 12" black mount board for an additional fee. If desired, choose the "mounting" option under variations. We love this pretty doll! I'd never seen a doll of this type made so petite and finely detailed! Packaged very nicely and delivered fast. Thank you!